If you are interested in helping new babies, mothers and families to get started on a good life together, and reaping all the rewards of being paid to nurture them, consider being a postpartum doula! Candidates must also have recent experience caring for newborn babies (ages 0-3 months). We LOVE and welcome Mother/Baby and NICU Nurses and Perinatal Technicians! 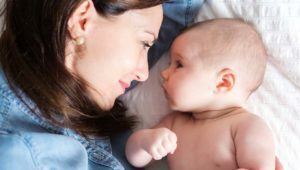 A postpartum doula is trained to provide support and education for the mother, father, baby, and extended family during the first three months of the baby’s new life with them. (There are also ‘birth doulas’ who attend the laboring mother during delivery.) She is trained to recognize special needs and refer to appropriate resources. She is a teacher and source of information as she helps care for the new baby and nurture the family. She offers evidence-based information on newborn care, infant feeding (breast or bottle), mother care and coping skills for new parents. She helps with some of the tasks necessary to keep the family running smoothly during this busy time. She has been trained by Triangle Mothercare and DONA, CAPPA or ProDoula and has achieved (or may be working towards) certification by one of those professional organizations. Her expertise and non-judgmental support create a calm experience for the new family while encouraging them to develop their own parenting style. A Triangle Mothercare postpartum doula also provides overnight care for the newborn while new parents get the sleep and rest they need to recover and be able to care for their families during the day. Parents often think of her as a ‘night nurse’ or ‘baby nurse’, but she offers non-medical care and is not licensed, so this term cannot be used in some states. She is professionally trained in all areas of newborn care. She is there to educate the parents on techniques as needed, including bottle-feeding, swaddling, self-soothing and feeding recommendations. She is specially prepared to minimize the stress of the new family, and offers gentle and confident support for the mother and loving care for the baby. She has fulfilled all requirements and testing, plus an extended period of mentoring while working with newborn babies. For information about Postpartum Doula training offered locally, email info@trianglemothercare.com or call (919) 225-2493. IBCLC (International Board of Certified Lactation Consultants) is the global authority that determines the competence of practitioners in lactation and breastfeeding care. ProDoula's goal is to elevate the role of doulas to a professional level in the eyes of expectant parents, medical professionals, and doulas themselves while providing people of all demographics a rewarding career opportunity. ProDoula provides the necessary training, guidance and mentorship to its members to successfully complete the coursework involved in becoming a certified doula.